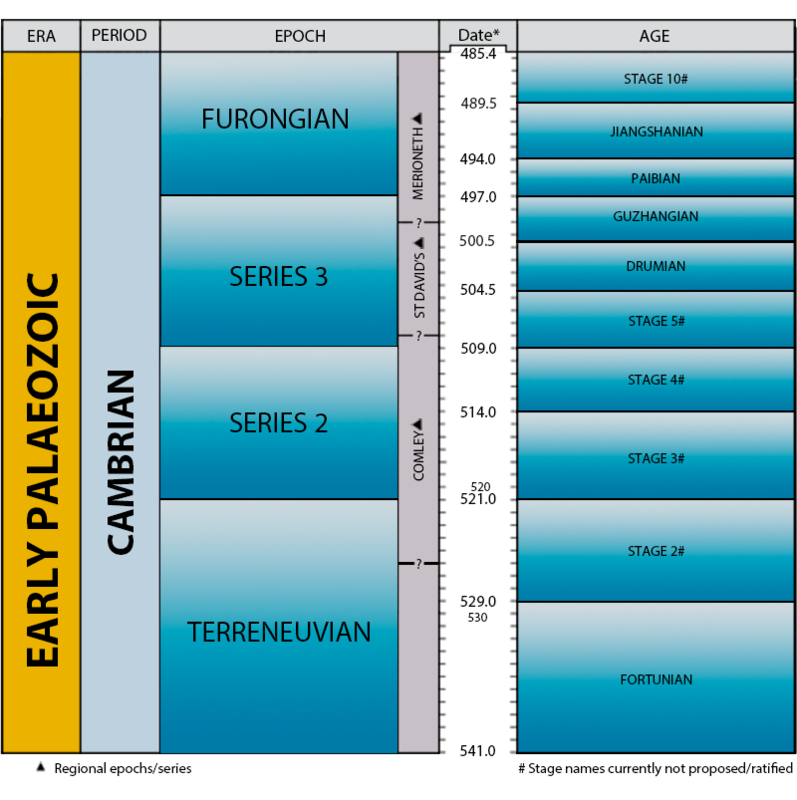 The Earth in the Cambrian period. England and Wales lay near the south pole and experienced a cold climate. They were separate from Scotland, which was joined to North America. A shallow sea covered much of the area and animals such as trilobites, graptolites and molluscs first appeared.